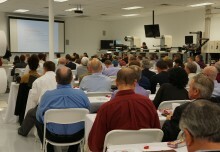 During the International SAP Conference for Forest Products, Paper, and Packaging, Aicomp will offer the opportunity to learn about the latest innovations within the industry to boost manufacturing excellence and efficiency. Aicomp is a Platinum Sponsor of the International SAP Conference for Forest Products, Paper, and Packaging from 16 – 18 October in Prague, Czech Republic. Is your Variant Configuration Ready to Fly into the Cloud? One of the conference highlights will be an exclusive Aicomp contest under the heading: “Is your Variant Configuration Ready to Fly into the Cloud?” All attendees may participate by configuring their own paper airplane, aiming to send it into the Cloud as fast as possible. The winner will receive one (1) Apple iPad. 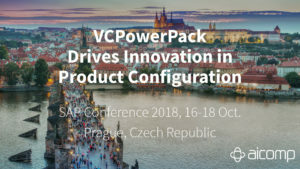 As part of the conference, Alexandra Dianics (Mondi Group) and Rainer Förster (Aicomp) will give a presentation on the idea and design of the SAP Cloud for Customer (C4C) solution, including its functionality for configuration, pricing, and quotation, as well as its integration into VCPowerPack. The presentation will be during the second day of the conference, October 18 at 2:20 PM. Aicomp will also present its tool for Product Lifecycle Management during a further conference talk (more information to come soon). An exclusive Aicomp pre-event on October 15 at 7:00 PM at the Clarion Congress Hotel Prague will bring together industry experts, partners, and customers to exchange knowledge and share expertise.